Curries from around the world land in Shepherds Bush. 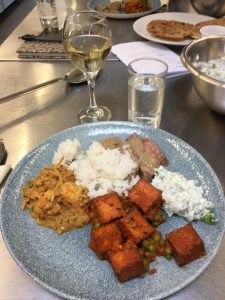 Horton and Garton’s lettings supremo Ashley Clements dropped by Shepherds Bush cookery school Leiths over the weekend to learn how to cook a proper curry. His wife is reportedly delighted. If you love curries and want to learn to make them from scratch, this is the class for you. Ashley took a culinary journey around some of the world’s finest curry hot-spots as he learned to make dishes using authentic but easily available ingredients. 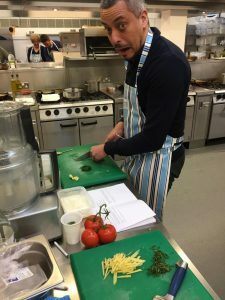 He also learned how to select and use spices and make curry pastes, marinades and accompaniments. “Leiths has a very friendly atmosphere,” Ashley said, in-between his courses of Goan chicken vindaloo and red duck curry. 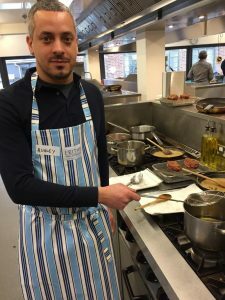 “The instructor, Chef Cee, was able to design the day to suit experienced or purely beginner cooks. The ingredients were excellent and plentiful with three dishes created, eaten and enjoyed with a glass of wine. A Leiths voucher would be a great gift for any of your foodie friends. Just like Horton and Garton, Leiths is a long-established local business that offers excellent customer service. Click here for more details about Leiths’ spicy How to Cook Curries classes.